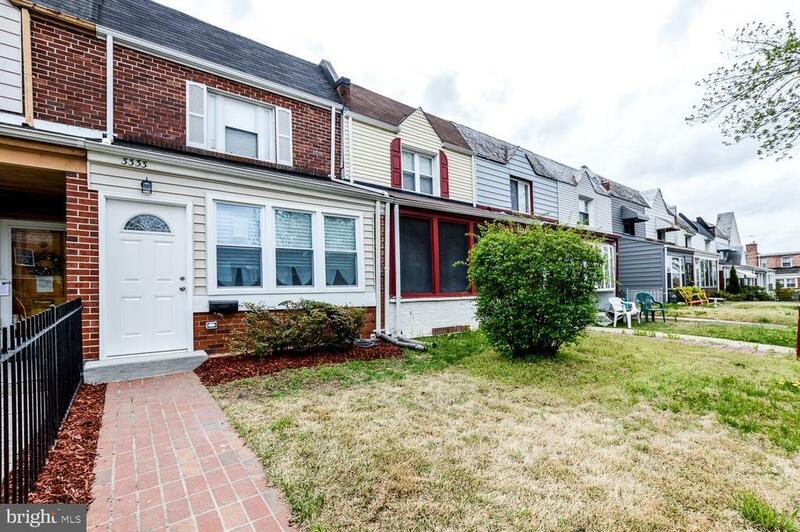 This beautifully renovated row house in the charming, sought-after neighborhood of Lily Ponds on the Anacostia River features 2 bedrooms and 1.5 baths. The main level open floor plan is perfect for entertaining. The new kitchen features stainless steel appliances, including a 4-burner gas stove with griddle, soft-close cabinets, and granite counter tops. Dark hardwood covers the main level and basement floors, with wall-to-wall carpet on the bedroom floors and beautiful ceramic tile in the full and half baths. The living room is adorned with a tray ceiling and recessed lighting. Recessed lighting continues in the basement. In the rear is OFF-STREET parking for 2 cars and a spacious storage shed. The home is only a short walk to River Terrace Park and is also near the historic Langston Golf Course. The Benning Road Trolly that travels to the booming H St corridor and downtown/Union Station is just blocks away, and youll have quick and easy access to 295, bus stops and Metrorail. Grab this gem while you can!